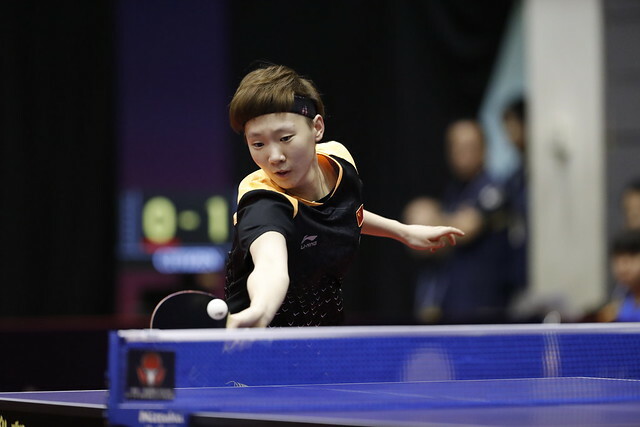 More injury news to bring you from the final day of the Seamaster 2018 ITTF World Tour Lion Japan Open with Wang Manyu and Liu Shiwen officially pulling out of the Women’s Doubles final on Sunday 10th June. With the match scheduled to have taken place at 2.00pm (local time) it was announced that the sixth seeded partnership of Wang Manyu and Liu Shiwen had decided to withdraw from the contest with the latter player suffering from a hip injury. Wang Manyu and Liu Shiwen met in Women’s Singles action earlier in the day but weren’t able to take to the table as a team in the first final of the day which means that it is Gu Yuting and Mu Zi who have been awarded the trophy with a “walkover” victory. Unseeded for the tournament, the pairing of Gu Yuting and Mu Zi successfully booked their place in the final with a four games victory over fellow qualifiers Cheng Hsien-Tzu and Liu Hsing-Yin in the last four and have secured their first Women’s Doubles gold medal as a partnership in the process. With the Women’s Doubles final not going ahead, the Men’s Doubles final will commence at 2.00pm in its place.